I offer a series of training and workshops to improve effective communications, facilitation and knowledge sharing. Please contact me if you are interested in booking a workshop or combining different sessions into multi-day workshops. I am also happy to design session specific to your needs. Contact info at the bottom! We are back with the 8th Graphic Facilitation Workshop hosted in Rossland, British Columbia, Canada! Join us for lots of creativity, skill building and fun! Do you feel that the best part of meetings is the coffee break? A lot of us spend our days in meetings and opportunities are lost to maximize the knowledge in the room. This course focuses on how to facilitate more effective participation from everyone in the meeting for a more engaging experience, improved knowledge sharing and ultimately improved outcomes in our work. Do you have a meeting or workshop to plan in the near future? Do you want to make it your best meeting yet? Bring your real meeting ideas to this workshop and work collaboratively with an effective meeting facilitator and your peers to design a great effective and engaging meeting. Part 1 is recommended. This course comes with a 30 min post-workshop coaching session. Do you work with a remote team? Have your email messages been misinterpreted? Do you want to go beyond email to help your group share information? This workshop will improve your ability to communicate with email as well as introduce a suite of free, easy to use online tools for communicating in geographically dispersed environments. What if you drew your notes instead of wrote them? Visually captured what is happening at a meeting or in a classroom? Engage people beyond words and text? How would that change the experience for you and others? We’ll explore these questions as we learn to write on walls, the base elements of the practice of graphic recording and facilitation. We’ll cover basic techniques and tricks that enable any of us to draw as a way of capturing and communicating ideas with each other. What are social softwares, Web 2.0, Blogs, Wikis, Facebook, Twitter…..This course will help you understand how to use these tools in your organization to increase knowledge sharing and collaboration as well as outreach to your constituents. Techniques learned can be used for collaborative meeting agendas, event planning, reporting and knowledge sharing. Participants will gain hands on experience with free online tools. This course addresses how to give positive feedback in the workplace. The first half is based on face to face feedback sessions that focus on solutions. The second half focuses on feedback using email and how different communication styles can affect levels of trust when communicating over email. This is particularly relevant for geographically dispersed or remote teams. This workshop focuses on key communications skills including active listening, summarizing and giving/receiving feedback. Self-awareness, introspection and mutual understanding to improve communications and group dynamics will also be explored. These are foundation concepts for ongoing, respectful and positive dialogue amongst employees. Conversions are the key to building community! This workshop is focused on improving the quality and quantity of our conversations in the workplace. Areas covered will include appreciation, being positive, synthesizing and storytelling. Techniques used will include Conversation Café, Micro-Literature and Jumpstart Storytelling. This is an experiential workshop for learning and practicing new skills, reflecting on topics of interest and having fun. Do you have a burning problem/challenge in your work that others also share? Harness the tacit knowledge that exists by using your colleagues to identify possible approaches or new lines of inquiry. In this course you gain a new technique, how to facilitate and organize a participatory problem solving session in your workplace. There is a theory that most knowledge is shared by the water cooler. Based on a belief that knowledge and learning take place through personal interactions, this workshop will focus on how to increase the quantity and quality of conversations. It looks at techniques to help networking for meeting/conference organizers and attendees. An additional option is to include cross-cultural communications. This one day workshop addresses elements from the above short courses such as effective meetings, problem solving in teams and networking skills for increased conversation and collaboration. – How do we ensure knowledge flows easily to where it is needed? – How can we harness the knowledge of a team, strengthen relationships and develop shared thinking? – How can we build on past experiences to improve activities for the future? – How can an organization retain essential knowledge, particularly with an ageing workforce? I totally enjoy yr sharings on all yr workshops. I’m curretly scouting for a good visual facilitating workshop to attend. Can you email me yr upcoming dates 2012 and cost for my planning purposes. And any considerations for someone flying from Kuala Lumpur, Malaysia. Thanks for interest. I will certainly keep you posted on future workshops. We are considering one for June 2012. Hi Michelle will there be any other workshops in the fall or winter of 2012 2013? Sorry for the late reply! 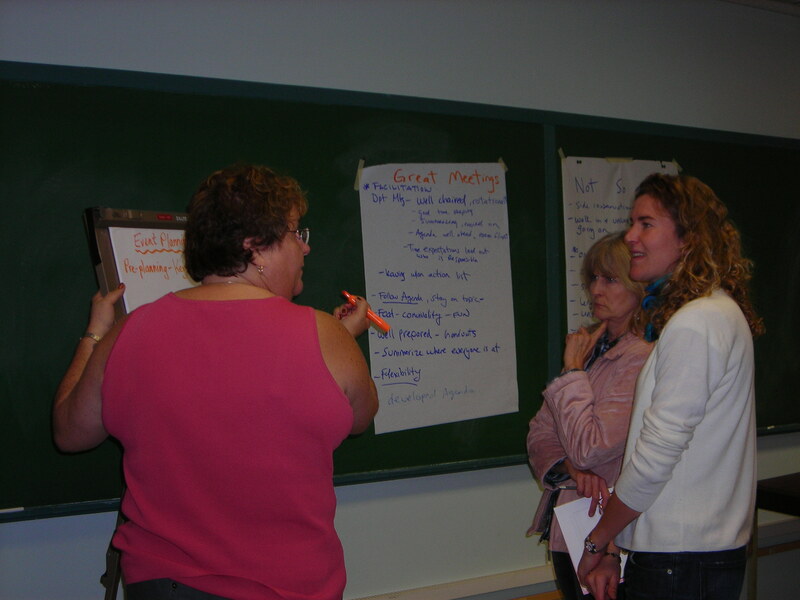 We are planning a workshop for September 2013 in Vancouver and October 2013 in Toronto. Do any of those dates/locations work for you? Hope you can make one! Hi Glenna! Which workshops were you interested in? There may likely be a Graphic Facilitation workshop in 2013 (we are about to start one today through Friday). Since 2009, for the other workshops I do them on demand, i.e. if there is a group that wants one we can put something together. Let me know where you are located, your interests and we can try and make something happen!